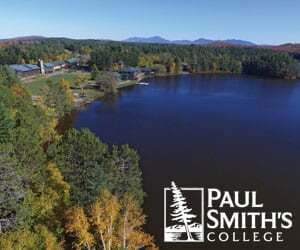 New York’s Department of Environmental Conservation has asked federal authorities for an additional 60-day hold on declaring the 30-mile rail line from North Creek to the former Tahawus mine in the central Adirondacks abandoned, while talks continue for the possible takeover by a new freight operator. The potential buyer, Denver-based OmniTRAX, told the Surface Transportation Board it’s “optimistic” it will negotiate the purchase of the line from Saratoga and North Creek Railway and parent company Iowa Pacific and restore freight operations. The line ends at the former Tahawus titanium mine, where the current owner processes and ships by truck the mine’s stone tailings for use in construction. OmniTRAX told the board it’s also optimistic about ongoing negotiations with the DEC to resolve freight car storage issues. Some environmentalists have proposed turning the Tahawus line instead into a recreational rail trail without trains. The department, in its latest filing in late January, simply noted that its negotiations with OmniTRAX were ongoing, that the rail company was filing a separate notice, and that it requested the 60-day extension on its application for a declaration of abandonment. The board had ordered a status report from the rail lines by Jan. 22. In a filing to the federal board last September, New York officials said the 30-mile tracks in the Adirondacks had no active shippers and the owner had “no reasonable prospect for developing future freight service.” That permits a federal finding of abandonment under the test of “public convenience and necessity,” the DEC said. OmniTRAX subsequently showed interest in buying the line, while the current owner removed its trains and nearly all equipment. Matt Simpson, Horicon supervisor and Warren County Public Works Committee chairman, said OmniTRAX also expressed interest in acquiring the 40-mile rail line from North Creek south to Saratoga, which the county owns. The municipality has been in the process of drafting a bid request for the lease or sale of its line, he said. 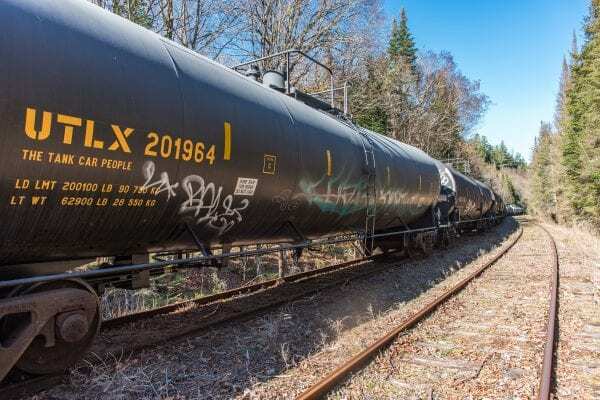 According to the original DEC filing, the suggested storage of up to 2,000 unused tankers and other cars on the Tahawus line by current owner Iowa Pacific, which would go into part of New York’s forest preserve, “requires” a federal abandonment finding. Dozens of cars were stored there last winter and then removed in the spring after state authorities objected. About half the track runs through state-owned backcountry to the privately owned mine, New York’s filing said. 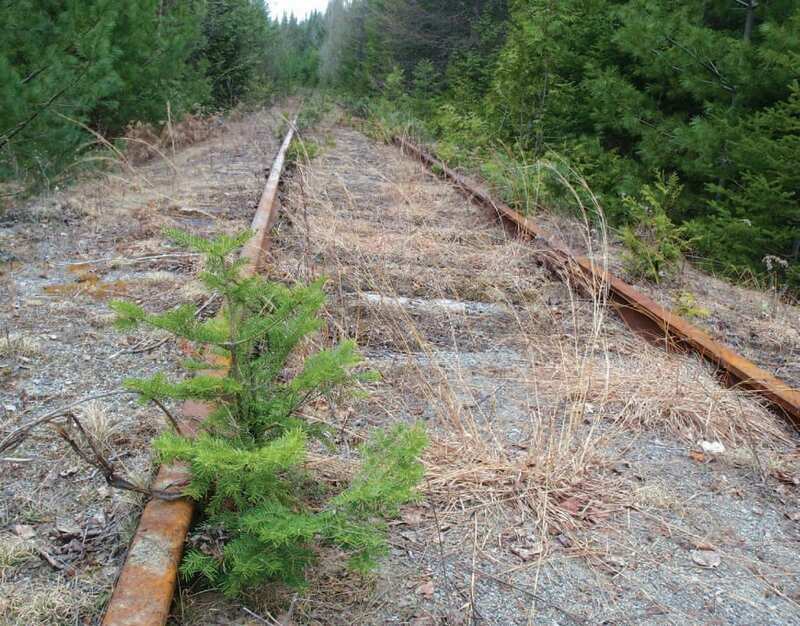 Meanwhile, some conservationists have proposed turning that corridor into a rail trail for recreational use. New York’s abandonment application didn’t specifically call for that. 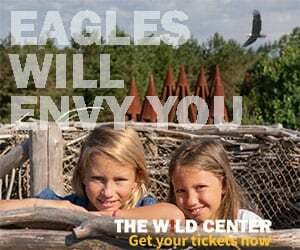 However, it referenced “low-impact recreational use–principally hiking, camping, canoeing, horseback riding and bicycling” in similarly classified areas of the forest preserve and says the state and municipalities “should be free to plan for future uses of the line” that are complementary. The Tahawus mine began producing titanium during World War II but ceased operations in 1989. The property was bought last year by Mitchell Stone Products in Tupper Lake, which sells crushed stone from the mine tailings for construction, trucking it to local municipalities and other buyers in the region. An analysis filed by Mitchell with the state earlier this year said rail shipping was too expensive currently to use it to reach more lucrative markets in New York City and Long Island. But owner Paul Mitchell said that could change in the future for the recycled material at Tahawus. “We are a customer at the end of the line that could have sales,” Mitchell said. OmniTRAX officials said markets are dynamic and they change. Saratoga and North Creek Railway acquired the line in 2011 and proposed freight service for Tahawus and the Barton mine in North River and also began a tourist train from Saratoga Springs to North Creek. The tourist train shut down last year. Ed Ellis, president of Iowa Pacific, had told Warren County officials that he needed the income from storing cars on the line until the freight business took hold.